Serving the District of Columbia, Maryland and Virginia region, the Institute for Public Health Innovation (IPHI) creates partnerships across sectors and cultivates innovative solutions that improve health and well-being for all populations and communities throughout the region, particularly those most affected by health inequities. Expanding the composition and capacity of the public health workforce. Community Health Workers Initiative: IPHI has become particularly well-known for its work in support of community health workers (CHW). In the past five years, IPHI has trained hundreds of CHWs, created dozens of jobs, and provided CHW-based services to thousands of residents. IPHI has also led the formation of CHW professional associations in all three jurisdictions, and is leading statewide processes in DC and Virginia to professionalize further the CHW job class and create more sustainable financing for CHW-based services. IPHI is a facilitator, convener, and catalyst helping to bring about better health and well-being for all people and communities throughout Maryland, Virginia, and the District of Columbia. 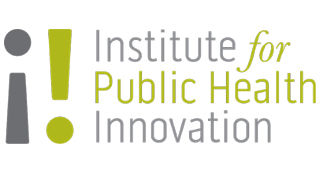 Get in touch with the Institute for Public Health Innovation. This presentation led by Michael E. Rhein, President and CEO of Institute for Public Health Innovation and Dawn Heffernan RN, MS, CDE, the Director of the Western MA Public Health Training Center explores the challenges that community health workers (CHW) face every day and suggestions for improvement in the community.